Give your sales reps resources and tools that don’t require extra sales training or sales manager coaching. They don’t have to spend a bunch of extra time reviewing CRM data or relying on gut intuition to choose which opportunities to prioritize. Instead, sales reps instantly know exactly what they need to do to drive deals forward. It’s like having a sales coach right there, guiding your sales reps every step of the way. Sharper sales execution with data-driven sale enablement. Accelerate gives reps the tools and insight they need for strong sales enablement. Intelligent opportunity scoring and visualization, dynamic recommendations based on the sales situation, real time tracking, analytics and insight into buyer interests all combine to give enterprise B2B sales teams a scientific approach to strategically improving sales and accelerating win rates. Accelerate provides the tools, resources and guidance for sales reps to plan, prepare and nail every buyer engagement, and the power for marketing to manage, distribute and measure everything. Hi there! 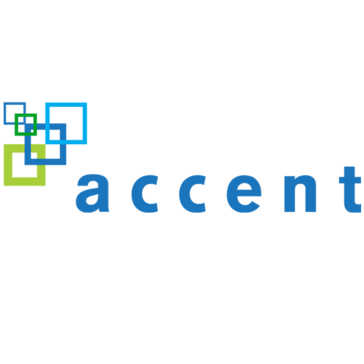 Are you looking to implement a solution like Accent Technologies?